In one of his first-ever North American tours, a seminal voice from the astronomical, psychedelic, French early synthesizer music culture performs next week at Seattle's Paramount Theatre. A revival of interest seen in the French analog for Krautrock's Kosmische offshoot, the equally conceptual Space Music, inspired by the interstellar vibe of Fantastique cinema, progressive and psychedelic rock, Bande Dessinée comics, and the psychological, political, science fiction pulp literature of the mid-to-late 1970s is very much afoot. Reissues of pivotal albums from the era by the likes of Space Art, Heldon, Bernard Fevre and Richard Pinhas have all surfaced in recent years. As well as vanguard compilations like the two volumes of "Cosmic Machine: A Voyage Across French Cosmic & Electronic Avantgarde (1970-1980)". No discussion of French synth music of the 1970s would be complete without Jean-Michel Jarre and his becoming swept up in the zeitgeist of Fantastique themes and cosmic sounds, with the massive breakout releases of 1976's "Oxygène" and the following "Equinoxe" of 1978. Touching on early studies in academic composition, adoption of sampling technology in the 1970s, Italian Futurism, musique concrète pioneer Pierre Schaeffer, Miles Davis, and revealing fascination with musical diversity, Jarre spoke with The Quietus', for their "Oxygène Of Collaboration: Jean-Michel Jarre's Favourite Albums". Not limited to culture, music and the arts, Jarre's life has been lived as avid political voice and activist, utilizing his profile to heighten awareness of environmental issues like that of last year's "Anti-Donald Trump, Dead Sea Performance at the Ancient Masada Fortress". 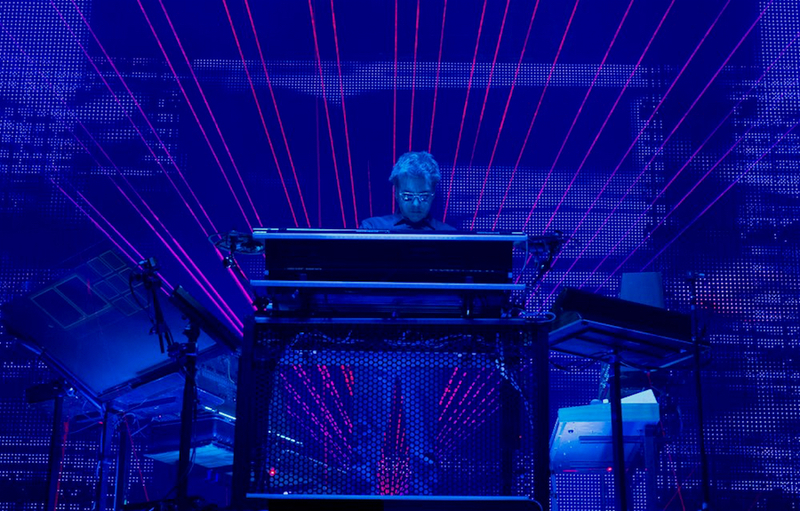 Further discussion of his bewildering and immense live performances of the 70s and 80s, and the completion of what is now a four-decade spanning Oxygène Trilogy following closely on the heels of his "Electronica 1: The Time Machine" and "Electronica 2: The Heart of Noise" of 2016, can be found in the extensive interview with The Guardian, "Jean-Michel Jarre Explains How He was ‘Vampirized’ by the Epic Outdoor Shows that Made Him Famous".